Poor mental health can dramatically impact a person’s life. As we interact with anxiety disorder Recovery Support members and therapy clients, we see the devastation anxiety disorder (and other mental health issues) can cause first-hand and daily. Moreover, as ex-anxiety disorder sufferers, we know personally how experiencing mental health issues can alter the quality of our life experience. We’ve chosen the work we do because of our compassion for others. So, in addition to helping people with existing mental health challenges, such as anxiety disorder, we are also passionate about the prevention of mental health impairment. With the growing number of countries moving toward marijuana legalization, we are concerned about the fallout of marijuana use and how it will impact mental health. We are publishing the latest research on the ill effects of marijuana so that you can make an informed decision about its use. It’s our desire that everyone live a wonderful and healthy life, which includes a healthy mental health life. Since our entire life experience is based on how we think about life and the behaviors we use, the healthier our mental health, the better our life experience overall. To that end, here is the latest research on how marijuana and cannabis-based drugs impact the brain. 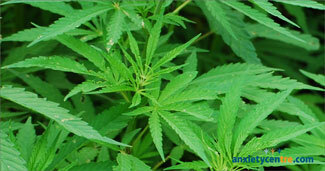 Long-term use of either cannabis or cannabis-based drugs impairs memory say researchers. The study has implications for both recreational users and people who use the drug to combat epilepsy, multiple sclerosis and chronic pain. They found that mice exposed to the drug long-term had "significant ... memory impairments" and could not even discriminate between a familiar and novel object. Dr Neil Dawson, the lead researcher from Lancaster University said "This work offers valuable new insight into the way in which long-term cannabinoid exposure negatively impacts on the brain. Understanding these mechanisms is central to understanding how long-term cannabinoid exposure increases the risk of developing mental health issues and memory problems." "Cannabis-based therapies can be very effective at treating the symptoms of chronic diseases such as epilepsy and multiple sclerosis, and dramatically increase the quality of life for people living with these conditions. We need to understand the side effects that these people may experience so that we can develop new interventions to minimise these side effects." Professor Ana Sebastiao, lead researcher at the University of Lisbon, said: "Importantly, our work clearly shows that prolonged cannabinoid intake, when not used for medical reasons, does have a negative impact in brain function and memory. It is important to understand that the same medicine may re-establish an equilibrium under certain diseased conditions, such as in epilepsy or MS, but could cause marked imbalances in healthy individuals. "As for all medicines, cannabinoid based therapies have not only beneficial disease-related actions, but also negative side effects. It is for the medical doctor to weight the advantages of the therapy, taking into consideration quality of life and diseases progression, against the potential side effects." The research was published in the Journal of Neurochemistry and was conducted as part of the European Commission Horizon 2020 funded SynaNET project.